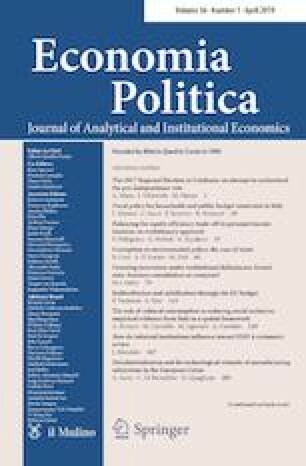 This paper measures the capacity of the EU budget to operate two traditional functions of public finances: redistribution and stabilisation. It uses a large dataset covering all actual revenues and expenditures of the budget, over 16 years (from 2000 to 2015) in each Member State of the EU. It finds that, for every € 1000 difference in income per capita across the EU, € 9 is offset by lower contributions to the budget and € 3 is offset by higher expenditures by the budget; the overall equalising effect is small and mainly generated by the revenue side, in particular by the national contribution based on GNI and VAT. The budget is not particularly responsive to changing economic conditions: a fall in income per capita of € 1000 determines a reduction of € 8 in the per capita contribution paid to the common budget, while the expenditure side is irresponsive. The analysis also shows that the various corrections mechanisms applied over time to the revenue side of the budget have reduced its redistributive and stabilisation capacity. The opinions expressed in this paper are the authors’ alone and cannot be attributed to the European Commission. We are grateful to the editor and to two anonymous reviewers whose comments have improved the final version of this paper. We repeat the whole analysis with time fixed effects, in the formulas we therefore introduce γ T, a factor controlling for time trends. The results are basically the same, leading to the same conclusions. The estimations for the counterfactual budget constructed in the hypothesis of zero correction mechanisms are based on the same kind of equations estimated for the actual budget. In order to measure the equalising effect we compare levels, therefore estimate Eqs. (16) and (17). For the two components of the revenue side, I run again Eqs. (24) and (25) in the case of the counterfactual budget. The results are the following (Tables 10, 11).